[USA Today] Southwest Airlines plans to sell live television service on five planes and expand it to more aircraft by mid-July. 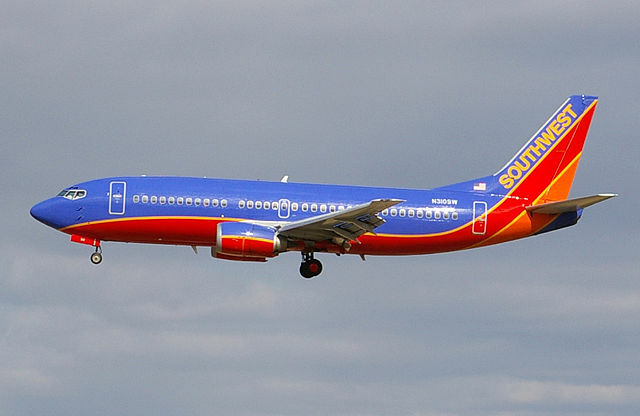 The airline said Thursday that it would offer seven sports and news channels for passengers to watch on their own devices.Southwest said it will test prices from $3 to $8 during a trial period. Passengers will need a Wi-Fi-enabled device such as a smartphone, tablet or laptop computer. Live TV will be offered separately from wireless Internet access and customers won’t have to buy Internet access to watch TV. The Southwest channels will be: NBC Sports, MLB (Major League Baseball), NFL Network, CNBC, MSNBC, Fox News and Fox Business News. Southwest hired Row 44 to provide the service, which the airline plans to expand to 20 planes by mid-July. Southwest said that if the service is successful, it will be added to all the airline’s Wi-Fi-enabled planes by the end of the year. The airline has about 550 Boeing 737 jets including about 250 with Wi-Fi. It plans to outfit 70% of its fleet by the end of 2013. Airlines have been expanding in-flight entertainment options such as Internet access to distinguish themselves from other airlines that often sell tickets for…..
Read the full story at USA Today Travel…..